Express and accept a wide range of feelings in yourself and others. Engage in satisfying relationships based on mutual trust and respect. Understand your limitations and be confident in your unique abilities. Develop an enthusiastic and optimistic approach to life. Being positive about yourself and your life. Being satisfied with your performance. Effectively coping with life’s ups and downs. Being nonjudgmental in your approach to others. Owning your mistakes and learning from them. Saying “no” without feeling guilty. Finding it easy to laugh. Feeling stressed? Take a mental break and treat yourself to a massage, a good book (Fort Vancouver Regional Library) or find a quiet spot to journal (benefits of journaling). Having trouble staying focused? Take a mini break and take a walk to clear your mind. You are sure to be more productive when you return. Follow the Penguin Paths at Clark, marked with penguin feet, to add more steps to your day. Stand up, close your eyes and take 3 deep breaths. Think of one thing you’re grateful for. Walk down the hall to get a glass of water. Deliver the message to your coworker in person, if possible. Reserve a three week transferrable license to Lynda.com and learn how to limit your stress by managing your time more effectively. Lynda.com offers high-quality instructional courses taught by industry experts in a convenient online, on-demand format. Contact kerguson@clark.edu to request a license. 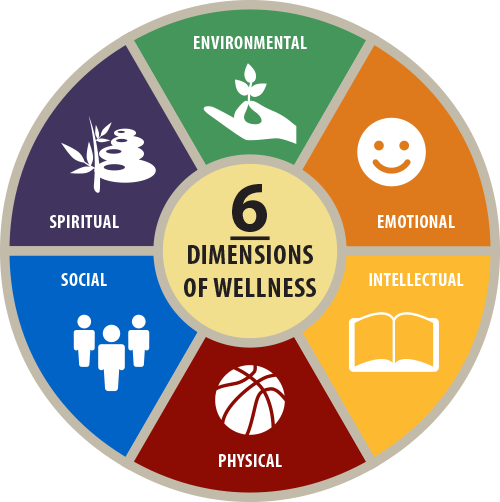 Take advantage of a wide range of free health and wellness tools, plus confidential clinical support for assistance with stress, anxiety, anger management, grief, loss, relationship issues and more through the college’s Employee Assistance Program. If you or someone you know is experiencing a mental health emergency, please call the Clark County Crisis line at 360.696.9560 or 800.273.TALK (8255). Protecting yourself from environmental hazards, such as noise, chemicals, pollution and ultraviolet radiation. Caring for and organizing your personal and professional spaces so you are productive and free of unnecessary stress. Conserving resources and leading a lifestyle that is respectful of your immediate surroundings, the community in which you live, and the planet. Recycle, reduce waste and conserve energy and water. Protect yourself from environmental hazards. Walk, bike, car-pool and/or use public transportation whenever possible. Clean, organize and remove clutter from your home or office. Spend time in natural settings. Find a special place where you go to relax and clear your mind. Consider alternative forms of commuting to and from work. Rideshare is a commuting resource for those in the Northwest. Managed by the Washington State Department of Transportation, the site is a tool for free information and resources for alternative travel options. The goal is to help commuters do their part to reduce traffic congestion, improve air quality and sustain the quality of living in our region. Clark College participates in a Commute Trip Reduction (CTR) program for faculty and staff. This program offers a fully subsidized, one-zone C-tran bus pass for a limited number of users. Those interested must sign up to participate through the Security Office, and agree to use the bus at least 60% of the time to commute to and from work. For more information, contact the Security Department at 360.992.2133. Visit the Clark College Environmental Health and Safety webpage to access information and resources on safety and sustainability. Ergonomics are essential to ensuring workplace wellness. To look at how you can modify your space visit the Clark College Ergonomics page. When an injury occurs you can lose focus and productivity. Use the Clark College Incident pages (ClarkNet Access Required) to quickly get you returned to work. Participate in Common Read, a college-wide reading program at Clark, and educate yourself on the issue of garbage and its significance to the health of our environment. Garbology: Our Dirty Love Affair With Trash, by Edward Hume, will be explored and integrated into coursework, events and activities for 2014-2016. Clark College is a Tobacco-Free college. To see how this came to be, or to get other information related to tobacco at the college go to the Tobacco-Free page. Take a stroll through the college's Japanese Gardens, located on the south end of campus, between the Baird and Beacock Music buildings. Find a new hiking trail in Washington state, read about the essentials for spending a fun and safe time in the outdoors, or volunteer to protect and maintain trails and wildlands. Visit the Washington Trails Association website for more information. Maintain an active, open mind. Seek out opportunities that stretch and challenge your mind with stimulating creative and problem-solving endeavors. Maintain the capacity to question and think critically. Learning for the sake of learning. Pursuing interests outside of your vocation. Developing effective study and time management skills. Being interested in the views of others. Keeping abreast of current events, issues and ideas. Consider taking a personal enrichment class through Clark College Economic and Community Development. Clark College offers a Tuition Waiver Program for employees working half-time or more. Eligible employees may enroll in state supported classes on a space-available basis. Tuition exemption forms are available from the Human Resources Department. For more information visit the Employee Benefits page. Join the Clark College Community in learning, and attend the quarterly Faculty Speaker Series, where faculty members share recent experiences that have shaped their lives and their teaching. The Teaching and Learning Center at Clark College was established in 2006 and supports the professional development work of many departments at the college. Programs and services include new employee and new faculty orientation, professional development funding, professional learning communities and on-campus trainings that cover a broad ranges of topics including classroom management, effective communication, diversity, and health and wellness. Located upstairs, in Gaiser Hall (GHL) 206, the TLC also offers classroom space, computers and a library collection dedicated to teaching and learning, available for checkout to employees exclusively. Clark College provides resources for developing career and life planning skills to the college community. Located in the Penguin Union Building, (PUB) 002, the Career Services staff is available to assist with career research, exploration and planning, and offers quarterly workshops covering a variety of professional development topics. Want to learn about a topic that intrigues you? Visit TED, a non-profit organization that offers powerful talks on a variety of topics – from science to business to global issues – in more than 100 languages and in 18 minutes or less. Give you more energy and endurance. Affect how many years you live, and how well you live your years. Exercise at least 150 minutes a week, which is about 30 minutes most days of the week. Eat whole foods, mostly plants, including 5 fruits and vegetables per day. Avoid drinking more than 1 or 2 alcoholic beverages per day. Abstain from tobacco products and avoid exposure to people who smoke. Visit your health care provider and dentist for the appropriate well-checkups. Pay attention to any signs or symptoms of disease and seek medical attention when appropriate. How healthy are you? Take one or more of these online assessments and receive a customized report with action plan. Results are completely confidential. As a Clark College employee, you have access to a robust suite of free fitness and nutrition resources through our Employee Assistance Program provider, MHN. Ready to take a serious step toward positive change? Sign up, free-of-charge, for a Mayo Clinic Certified wellness coach to help you reach your personal goals. Consider joining the Clark College Thompson Fitness Center. For a small fee, faculty, staff and students can enjoy using fitness equipment, and receive fitness testing and personal training services. Learn a new sport, refresh your skills, and engage with the college community by participating in Intramural Sports at Clark College. Walking is a simple, inexpensive and effective way to get and stay in shape. Visit everybodywalk.org for education and inspiration. Take your exercise outdoors and explore Vancouver and Clark County! Vancouver Parks and Recreation provides maps and information on local parks, trails and recreational opportunities. For regional activities look at Active and Race Center Northwest for fun runs, walks and other events. For national activities look at Running In The USA to see what you can participate in when you travel, or to help you plan an active vacation. Many people have found that a special diet is required for future wellness. Use the Academy of Nutrition and Dietetics to identify nutritional components for any type of dietary needs. If you are looking for a place to learn about what to eat and how to become active all in one place visit Health. Looking for low-cost medical services? Visit the Clark College Counseling and Health Center. Cultivating a strong support network in which you give and receive. Taking an active part in your community. Living in harmony with others and with the environment. Develop a support network of friends and family whom you talk with regularly. Develop the ability to relate with people in diverse settings. Get involved in school, work and community activities. Be knowledgeable of the social issues in your community and do what you can to help. Deal with conflict in a healthy and respectful manner. Clark College is a vibrant community, with numerous opportunities to engage and connect throughout the year. From the MLK Celebration in the winter, to the Sakura Festival in the spring, to the Native American Celebration in the fall – whether you’re interested in music, theater or community service - you are sure to find something that interests you. Check out the Activities Calendar and get engaged in the Clark College Community! Visit the Clark College Diversity Center, a warm and welcoming place for students, faculty and staff to gather. Volunteer in the Clark College Buddy Program, and help create community at Clark by welcoming a new employee. Vancouver Washington offers endless opportunities for recreational, educational, and family friendly activities. Find a restaurant, attend an upcoming event, or try a new activity. Visit Vancouver USA is your go-to web-resource for all things Vancouver! Know and live your values, beliefs and convictions. Be tolerant of the values and beliefs of others. Discover what gives your life meaning and direction. View life as a learning experience and look expectantly towards the future. Set life goals and work towards achieving them. Make time every day for personal reflection. The Office of International Programs, located in Gaiser Hall (GHL) 215, offers a quiet and comfortable space for faculty, staff and students to visit for a brief time of prayer or meditation during business hours. Did you know that being thankful is linked to improved immune systems and increased feelings of connectedness? Be intentional about giving thanks and build your awareness and sense of joy by creating a daily Gratitude journal. Spending time outdoors can be a great way to clear your mind, energize your body and reflect on those things that inspire you. Visit the National Parks Service website for educational information and to find a park to visit.